Kitchens are arguably one of the most important rooms in the house. This essential space gets a lot of traffic, and usually showcases the personal style and interests of the owners. At the same time, kitchens are inevitably about function, so successful designs are the right blend of what you see and how well it works. 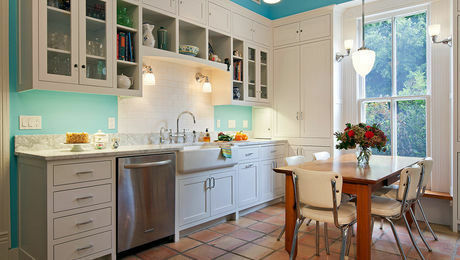 In the kitchen, countertops and cabinets typically are at or near the top of the designer’s priority list. Both come in many styles, materials and price ranges. 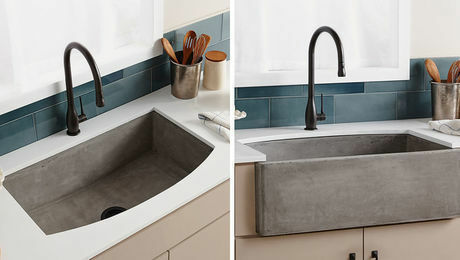 Countertops can run the gamut, from relatively new materials, such as man-made quartz composites, to old standbys like stainless steel or even wood. 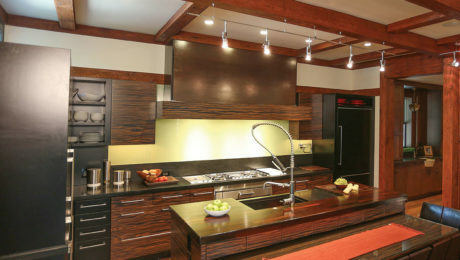 Kitchen cabinets offer designers a rich palette of possibilities — everything from the varied colors and textures of natural wood to sleek sprayed finishes. 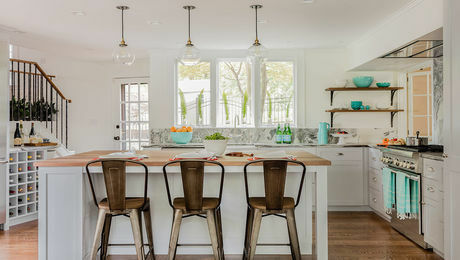 Cabinetry, countertops, and color often get the attention, but many other details will spell the difference between a room that works on a practical level and one that doesn’t. What’s the best way to paint kitchen cabinets? 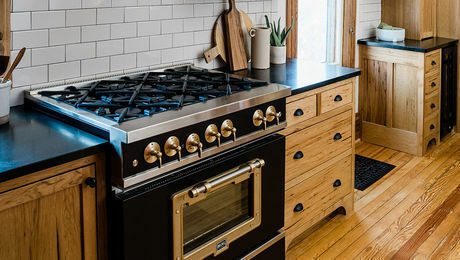 Are ready-to-assemble cabinets a better bet than custom made? 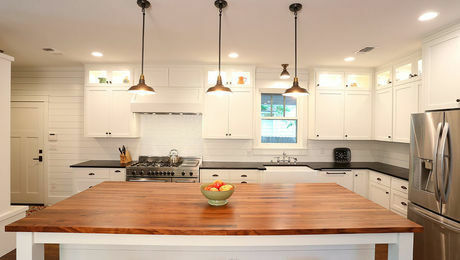 What are the advantages of installing a kitchen island? 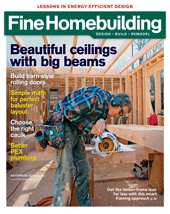 Whether a kitchen is a remodel or new construction, and no matter what the style, Fine Homebuilding’s deep library of articles cover what you need to know. Big Chill's Classic Line mixes modern technology with 1930s style. 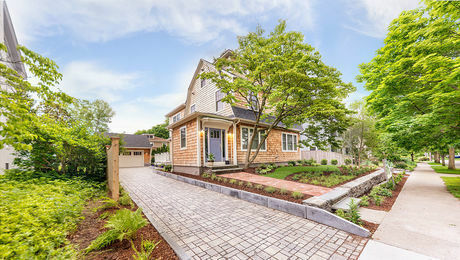 A century-old Rhode Island house undergoes a LEED Platinum transformation. 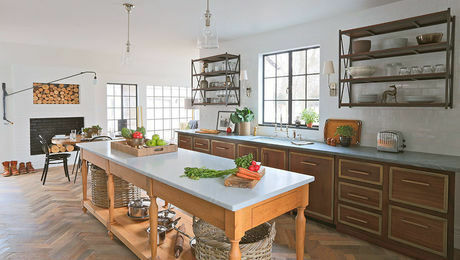 Designer John Kelsey explains his firm’s approach to renovating this dated and awkward kitchen. 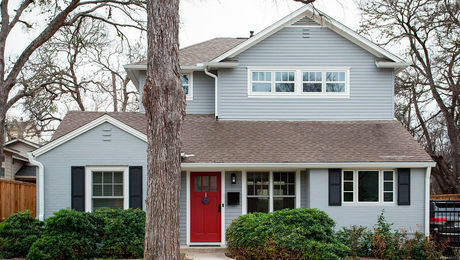 An Austin bungalow remodel results in a home for the ages. Austin-based CG&S Design-Build gives this historic home a period-appropriate upgrade. Designer Marianne Cusato offers ideas on maximizing space and balancing aesthetic details when installing cabinets, shelves, end panels, and moldings. A balance of form and function was key for creating better flow, more storage, and a sleek, cohesive design in this whole house remodel in Bethesda, Maryland. Answering 7 questions helps this architect create a great kitchen floor plan and choose the right materials and fixtures. A Chicago Tudor-style kitchen is revamped by bringing the outside in.